The Mineral and Petroleum Resources Development Amendment Bill, approved by the cabinet in May, has now been tabled in Parliament and sections 80 and 84 of the anchor Act are to be amended, it is proposed, to provide for State participation in petroleum development carried out by the private sector. The draft bill was published for comment in December 2012 and the proposed legislation, other than to extensively address the issue of re-describing many definitions and include petroleum and petroleum products in many of the issues covered by the Act such as beneficiation, also regulates extensively the exploitation of minerals and the legal movement and transfer of resource rights. The new Bill also aligns the MPRDA with the newly assented Geoscience Amendment Act and “addresses shortcomings identified, whilst simultaneously streamlining the administrative processes in relation to the regulation of the mining environment management function”. Two issues are of note in that under section 71 of the new Bill it is proposed that the minister forms a “new entity” which will “promote onshore and offshore exploration for and production of petroleum” and which will also “receive, store, maintain, interpret, add value to, evaluate, disseminate or deal in all geological or geophysical information relating to petroleum submitted” of the anchor Act, the MPRDA. The new entity (and it is to be assumed those involved in “exploitation” of minerals and petroleum must through such an entity) must, it is proposed, “ bring to the notice of the Minister any information in relation to the exploration and production of petroleum which is likely to be of use or benefit to the state”. This clause will no doubt cause debate. The background to the Bill clearly states that in terms of the new proposals, Sections 80 and 84 of the anchor Act are amended to provide for the state participation in petroleum development as described and that the state “has a right to a free carried interest in all new exploration and production rights”. Section 84 of the MPRDA is further amended to include State board participation in the holders of production rights in terms of the proposals. The newly tabled Bill states that “specific details regarding the extent of the State’s free carried interests” will be published in a government gazette. Posted on March 11, 2013. President Zuma by gazette has declared 1 April 2013 as the date on which section 6 of the Competition Amendment Act of 2009 shall come into effect. The section in question focuses on market inquiries. The document states that such inquiries allow for investigation to determine the general state of competition in a particular market without necessarily scrutinising the conduct of specific firms. Market inquiries are to be conducted by the Competition Commission at the behest of the economic development minister or at its own volition. The section sets out how inquiries are to be conducted. An inquiry would be launched in cases where it is suspected that competition is distorted or restricted in a particular market. A notice outlining the terms of reference of an inquiry must be published in the Gazette prior to its initiation. Included in the terms of reference must be the inquiry’s intended duration. Upon completion, a report on the inquiry has to be published in the Gazette. Calls for new policy or legislation can be contained in the report and a complaint against a particular firm or firms can also be laid for further investigation. Metros confirm adherence to NERSA rules…. In an important meeting with the portfolio committee on trade and industry under the chairmanship of Bheki Radebe, South African Local Government Association (SALGA) gave its views on recent and forthcoming hikes on electricity tariffs and confirmed that none of the major metros, constituting more than 80% of municipal electricity distribution, ever imposed tariffs that had not been approved by NERSA, the regulator. 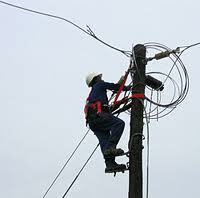 Although it was acknowledged that there could be isolated cases of smaller municipalities not complying with this principle, Mthobeli Kolisa, executive director, municipal infrastructure services, SALGA, said there was an overlap between the provisions of the Electricity Regulation Act dealing specifically with tariffs charged by its licensees and the Municipal Finance Management Act dealing generally with municipal tariffs but any problems and most conflicts were overlooked in the national interest. NERSA’s word was final, he said. SALGA, with input also from representatives of the eThekwini, Ekurhuleni and Johannesburg Metros, briefed the committee on the breakdown of municipal electricity tariff charges. When determining the municipal increases, in line with the NERSA guidelines, the municipalities would take into account the costs of bulk purchases, repairs and maintenance, salaries, interest charges and other cost, and then would have to justify their requests for increases to NERSA, Kolisa said for SALGA. eThekwini municipality said that electricity purchases made up the largest percentage of the budget of the metro. For a municipality whose electricity purchases constituted 64% of its budget, Eskom would charge a percentage increase of 13.5%. This would contribute 8.6% to the total average increase of 11%, which was a direct pass-through cost for the municipality. They said that even if the municipal cost did not go up, the increase would still be 8.6% to the end customer, as a direct result of Eskom’s increase. As a result of the municipal cost increases, a further 2.4% was added onto the total increase for the year, as a result of the increases in salaries and wages, repairs and maintenance amongst other cost items. City of Ekurhuleni said that when Eskom was running short on generation capacity, which happened during the winter months of June, July and August, there was a strong signal during peak hours and although it might cause customers to complain, municipalities would not work against the national objective. They said that an analysis of the Eskom “Megaflex” tariff indicated that energy was 90% of the cost in Ekurhuleni and demand constituted 10%, with the mark-up at zero (as Eskom was the baseline tariff for a municipality). The Tshwane tariff, on the other hand, indicated that energy was 62% of the cost, demand at 38% and mark-up at 9% which was known to be the case..Should Eskom run the lot? Should Eskom run the lot? Kolisa commented, in response to a question whether Eskom should distribute all electricity, that cutting municipalities out of the distribution lines and the equation generally would not be feasible. It was still necessary for them to distribute electricity. They only, and only they, had the infrastructure in place in their areas, he said, and the suggestion of separate re-distribution zones, or REDS, was an issue of the past. However, municipalities and metros, said SALGA, faced a generalised critical shortage of skills in the engineering sector and were unable to attract and retain specialist skills, particularly since they also faced competition from private industries. The idea of “adopt a municipality” inviting participation by industry was now being promoted to re-gain some of the lost territory. City of Johannesburg explained that Eskom tariffs to municipalities included a 4,17 c/kWh (cents per kilowatt hour) cross subsidy towards Eskom’s residential customers, and a cross subsidy for electrification in Eskom supply areas (3,59 c/kWh) and said that the general idea of one rate or one tariff would not fit all municipalities mainly because of their disparate size, different services and different demographics. City of Johannesburg said the government initiative to establish the ISMO system where Eskom and municipal distributors would be treated as peers and all distributors would be purchasing from the ISMO at wholesale rates would make some form of tariff alignment possible. But this was well into the future. SALGA said that a tariff design plan was in process by the five main metros which took into consideration the principles of the cost of supply and this co-operation accounted for the current compliance. Metropolitan distributors and a significant portion of the larger municipal distributors, it was said, were working towards detailed cost-of-supply analysis. In conclusion, SALGA noted that it might be possible to set a uniform tariff structure but such a move to make it viable would require financing. Generally, part of the problem, it was said, was that there was a strong need to move towards more advanced technology. In reference to the control of cost inputs in energy supply, SALGA said it was interesting to note that China relied on coal that it imported at very low cost and countries like South Africa were exporting to China at cheap prices to get their business. Local government could not regulate on such issues as coal exports, which were an issue for debate at Eskom and national level, but SALGA could see perfectly well what some of the problems were. SALGA finally noted that education campaigns to promote energy efficiency were not as effective in the field as they might be and SALGA would work with the Department of Energy to try to correct this. Department reports to Parliament on energy plan. So said Ms Tshidmidzi Ramendozi, chief director, energy planning, department of energy (DOE) when addressing parliamentarians of the portfolio energy committee on the state of the IEP, where the DOE had arrived at in terms of producing such a plan and when it was likely to come about. Under questioning Ramendozi estimated a final draft in the hands of the cabinet by the middle of 2013. Seven test cases would be studied in the current exercise, Ramendozi said, which would indicate what could happen if particular actions were taken. She was at pains to point out that such test cases were not really scenario planning exercises, which would have allowed for outside forces or factors over which DOE or those associated with energy generation had no control. Major factors within the ambit of the planning exercise, she said, for projections in the IEP, were the original energy White Paper; the 2010 integrated resources plan; the national development plan; the new growth plan; the national climate change response paper; the national transport master plan; South Africa’s beneficiation strategy and the proposed carbon tax policy. Parameters governing the base assumptions were, Ramendozi said, renewable energy targets; the fuel reserve margin; the limits governing annual carbon emissions and the penalties involved. Naturally macroeconomic factors such as banking rates, economic growth and global oil prices were involved in the assessments. From this base, for which DOE had to make certain assumptions on GDP factors forecast in the 2012 budget, was to take a middle, moderate growth scenario out of low to high growth patterns, and assume a certain amount of skills restraints into the future. It also had to assume global oil price projections from the Energy Information Administration and, also to be accounted for, were international projections from the annual energy outlook documents of 2012 in order to establish some sort of formula to go forward. Assumptions for various test cases could then be undertaken, Ramendozi said, with or without the new nuclear build programme; in one case with existing nuclear structures and one without and mothballing existing structures. Such would form the basis in test cases one and two. Then came test cases three and four, at which point Ramendozi referred to the national development plan which had presented a number of factors which had to be borne in mind although these directly affected the integrated resources plan (IRP) and were incidental to the IEP under consideration as far as test cases were concerned. 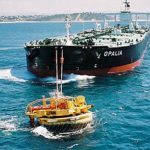 These factors were that as a net importer of crude oil, South Africa was very much a taker in the oil market and susceptible to fluctuating prices. Also to be considered were the new fuel specifications being considered and the fact that refineries were to be re-equipped to capacitate such and that South Africa would no doubts continue on its path of intensive use of fuel-powered vehicles but improving its national transport system generally. She noted the options in the national energy development plan, as far as liquid fuels were concerned, and these were as DOE saw it – to build a new oil-to-liquid refinery; build a new coal-to-liquid refinery; upgrade existing refineries; import more refined product or build or buy a shareholding in a new refinery in Angola or Nigeria. All this had to be considered at this point of the running of test models. Turning to test case three in the process, Ramendozi said this included expanding existing refineries with greenfields operations. Test case four included upgrading or expanding refineries and possibly, in addition, increasing importation of refined product, allowing for consequent upgrades of port infrastructure and associated costs such as transportation. 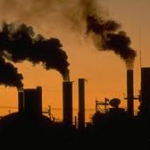 Test cases five and six, DOE noted, included the issue of carbon emissions, which was based around South Africa’s international commitment to reduce emissions by 34% by 20120 and 42% by 2025. 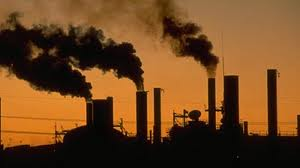 Factors to be considered were the findings of the long term mitigation exercise involved at the time which had established that South Africa’s energy use emissions constituted 80% of all emissions, 40% of which, a majority on a comparative generating basis, arose from the generation of electricity. Test case five, Ramendozi said, therefore involved the issues of refurbishing the existing “fleet” of generating plants to meet targets set by the department of environmental affairs (DEA). This would produce a result for this test case. Ramendozi concluded that the issue of carbon tax finally arose in test case seven. Here, the impact of carbon tax on the choice of energy technologies throughout the entire value chain had to be considered, bearing in mind the DOE was aware of a current proposal to tax emissions of CO2 @ R75 per ton of with an increase of around R200 a ton. For this modelling exercise and still to be completed, she said, was quality checking of the data collected; the actual configuring of the base for the test cases; subsequent analysis and evaluation and then the final report writing. Stakeholders would be consulted before a draft report was issued, the draft report being considered first by cabinet before the draft became public. MPs commented that quite obviously things were still therefore at a very early stage and were surprised that the DOE paper at this stage gave no evaluations of each energy source and no comments on job creation or job losses or skills so far reached. Ramendozi replied to this, and a number of other similar questions on energy resources, that parliamentarians were confusing the IRP, which dealt with resources and the effects and consequences of their use, with the purpose of the IEP. It was not the job of the IEP to evaluate and decide upon the quality of resources and their use or not. The IRP was very much on the subject of electricity energy, she said, to repeated and similar parliamentary questions on coal issues and the future of coal as a primary industry. Questions on gas reticulation and exploration off the Mozambique coast and what PetroSA were planning, for example, and similar issues in the hydrocarbons area, she noted, similarly involved specific resource evaluations and this was not what the IEP was about. She said the job in hand which looked at the whole sector in a broader sense. This should answer many parliamentarian’s questions, she said, why there was so little to be said in the IEP on the specific issues surrounding liquid fuels in the planning process. The IEP was to be a road map and the process leading to building such a plan would yet have to “unpack” many of the issues surrounding energy and the economy from a macro-economic viewpoint. Such macro-economic issues as job losses and the use or over-use of water, for example, would indeed be in the considerations for individual test case models. “This is going to be a particularly difficult aspect of preparing the IEP”, Ramendozi said, “because it involves cross-debate with many government departments, including treasury, environmental affairs, labour, health and transport, for example, and the final document needed to be both visionary and re-active to findings and take into account policy matters that had been adopted as courses of action”. She commented, in reply to questions on the effect of carbon tax, that this would indeed be a “challenge” to assess, since whilst MPs saw this as an effect on the purse of the individual, DOE’s thinking on this at this very early stage might be to take the treasury viewpoint that the effect carbon tax could be countered by incentives in the system in the form of allowances, before costs reached the individual. On augmenting the IEP with the liquid fuels strategy, Ramendozi said, that here again DOE was more concerned with producing transportation and demand factors at this stage. 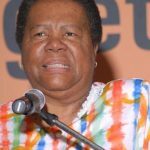 She said, in a similar vein, when asked about the Mathombo project, that her department could not even talk the need for a new refinery, “until we start running the various test case models”. On questions regarding fracking and gas exploration activities in the Karoo, Ramendozi responded, “With all the geological and logistics issues facing fracking, we are hardly even considering this contribution in terms of the time frame of the IEP. We do not see Shellgas playing an effective role in the energy picture in the immediate future as far as short term test cases are concerned”. She told parliamentarians that one of the test cases included natural gas related to electricity needs, compared with to gas to liquid technologies. However, she said the whole exercise was not to consider one resource against another but how to complement resources into a common system. The IEP, she said, “must take on board government policy towards the environment, attitudes toward climate change and therefore such issues and water and water resources used in coal fired plants will have to be considered. However, social issue answers are not something that will come out of the IEP”, she told parliamentarians. In many cases we see the final IEP highlighting many issues but not addressing their manner of implementation”, she concluded. Ramendozi said that in terms of producing the IEP, DOE would consider a reserve fuels margin of 19% and when asked as a final question by an MP what DOE were “going to do about the elephant in the room – the growth rate”, she responded that DOE had to follow exactly what treasury were stating for growth “otherwise all other related data would not make sense”. 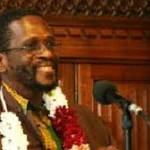 Chair, Sisa Njikelana, concluded by saying the IEP presentation was the final document in an “important parliamentary year on energy matters,” stating that DOE had to get the concept behind the IEP right in their minds “before it moved into the nuts and bolts of the various test case issues”. He said that the energy committee was to put on whole host of questions in writing to DOE based on a forthcoming parliamentary summation of the situation so far on the IEP, and this would be an exercise undertaken once parliament re-assembled in the New Year. 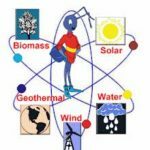 In answer to a parliamentary question on the subject, the new minister of science and technology Derek Hanekom has confirmed that a report is to be undertaken by the department of science and technology and the SKA project team on any possible negative effects of shale gas fracking in the Karoo. Mineral resources minister, Susan Shabangu, earlier told the media in a press media meeting that government “will approach fracking in the Karoo in a sensitive and responsible manner”. At this meeting she made public to all the report on investigation of hydraulic fracturing or fracking in the Karoo. The South African National Energy Development Institute (SANEDI) is now clearly establishing itself as a research, evaluation and monitoring body, shedding its developmental nature at the request of the department of energy (DOE). Its main mission currently is to assist in the transition of South Africa towards a sustainable and low carbon energy future. SANEDI says it plans to become major energy research body in South Africa. So said Kadri Nassiep, CEO of SANEDI, to members of the portfolio committee on energy when addressing them on the 2011/2012 audit recently completed by the department of performance, monitoring and evaluation (DPME) on SANEDI on its activities for the year. Nassiep said it was setting up a data base on energy efficiencies in order to establish a consolidated picture on the subject for the whole of South Africa. DPME expressed their satisfaction that SANEDI was on target in most areas of performance and was meeting delivery service. 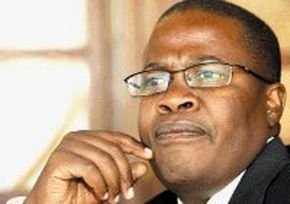 The auditor general has given SANEDI an unqualified clearance on its balance sheet for the year 2011/12. 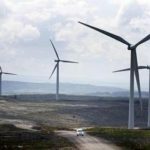 SANEDI, which grew out of SANEIRI when under the aegis of the Central Energy Fund, had recently launched a wind atlas for South Africa; is dealing extensively in coal research and carbon extraction: and, furthermore, on carbon capture and storage issues. The research institute, Nassiep said, had as an objective a wish to be recognised as the foremost institution for renewable energy research coordination and collaboration. Nassiep reported to parliamentarians that SANEDI had established RECORD or renewable energy centre of development, which was mainly dealing with wind energy issues in the Northern Cape and solar energy initiatives in KwaZulu Natal and was receiving financial assistance from GIZ of Germany. Initiatives on “green transport” were not on track he reported, however, in the area of fuel efficiency and fuel efficient innovations in new kinds of transport. 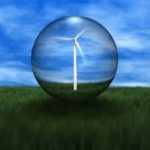 Similarly, the “smart grid” business plan had not reached the stage of business buy-in although much work had been done. In answer to questions, he said “smart grid” involved disciplines where the national transmission grid became more reliable; more secure; more economic and more efficient by applying more modern and advanced technologies to energy distribution and would involve the technology of such groups as Siemens. Initiatives to reduce the carbon footprint in South Africa were ongoing, Nassiep concluded, but he would not get involved in MPs questions on whether South Africa should introduce a vehicle scrapping programme, nor would he be drawn on the issue of SANEDI”s views on job losses by switching from coal to gain reduction of CO2 gases as part of the climate change debate. In presenting their annual report and internal audit results to the portfolio committee on energy, PetroSA told parliamentarians that progress had been made on the Ikhwezi gas fields off the Mozambique coast and that four wells were originally drilled with two more recently completed, all resulting in a “sub-sea” pipeline to carry gas ashore from the platform created now being created. The first actual operational well drilling is to be commenced by the end of 2012 and gas is expected to flow by 2013. 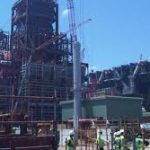 This should extend the life of Mossel Bay refinery to 2020. CEO, Nosizwe-Nocawe Nokwe would not confirm the size or volumes involved in the Ikhwezi project -chairperson Sisa Njikelana reminding parliamentarians that PetroSA was working in a competitive market and certain facts, especially on crude oil and gas matters, had to be withheld. Nevertheless, she commented that PetroSA had received an “unqualified” audit opinion and generally things from a management perspective “were looking up”. Ms Nokwe said that PetroSA’s activities in the downstream market were a “hive of activity” but from her presentations it had to be assumed by MPs attending that this was in the storage area and not in service station ownership. When asked why PetroSA should be interested in such areas of expansion as “downstream”, as she referred to it, Nokwe replied that it was because “PetroSA had a vision of being a totally integrated oil and fuel supply company”. A good number of the questions from MPs on the annual report surrounded the unsuccessful ventures to obtain crude oil in Equatorial Guinea where R1, 412m had to be written off in the year under review and in Egypt where R945m was also subject to a write off. The audit opinion was naturally highly critical of such ventures, referring to these as “impairments” but not “wasteful and unfruitful”, however, as was pointed out. Also “significant uncertainties”, according to the internal audit, surrounding the sale of Brass Exploration Limited and PetroSA Nigeria (SOC) which Nosizwe Nokwe reported on as “ventures which were currently in process of litigation” and therefore, she felt, sub-judice as far as any debate was concerned. Most of the problem with Brass Exploration had arisen because the investment was disallowable under the PFMA as the business was largely family-owned. On further questioning by MPs, Ms Nokwe finally explained that the Equatorial Guinea venture was apparently on the basis that a partner, subject to certain conditions, had to be found in a specified period and as this had not happened, it was felt prudent to write off the exercise as the contractual arrangements appeared doomed. Nevertheless, in the last few days, such a partner has been located and the matter is being re-discussed. 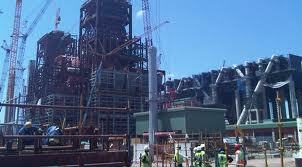 The focus of PetroSA, said Nosizwe Nokwe, remained as sustaining the Mossel Bay GTL refinery and to develop Ikhwezi. Group profits had risen 54% in the year under review. PetroSA was on the project group involved and supported the quest to ascertain the viability of shale gas in the Karoo. Crude production figures for the group were given as 0.8 million barrels which was only 50% of target, the department of performance, monitoring and evaluation (DPME) had noted, which was disappointing as Ms Nokwe said, but the challenges at the production facility were now resolved. 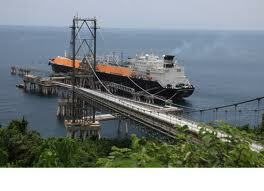 Indigenous refinery production stood at 6.5m barrels for 2011/2. Chief financial officer, Nkosemntu Nika, said that the small income involved was mostly generated from cash interests of the group but that a feature of the balance sheet was that it was debt-free. The crude oil market experienced some difficulties and resulted in a significant drop in storage rental income. On the reasons for two recent trips to Venezuela and whether these had been “what might be termed as successful”, as put by the questioner, Ms Nokwe replied that indeed there had been two trips and like the Africa focus, the idea was to build relationships in markets not necessarily tied to old routine arrangements such as in the Middle East but to “forge new initiatives”. No specific contracts or purchases were envisaged in the short term, she said, in view of the fact that Venezuela only had heavy crudes but there was no telling what could be done with a possible refinery at, say, Mathombo, Coega, she commented. SA refineries were geared to light oil requirements and Iran situation had clearly highlighted what the problems were ahead. When asked about the possibility of PetroSA continuing with the objective defined as the Mathombo project, she said PetroSA needed a lot more support to start getting this “to the drawing board stage”. 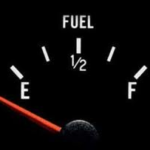 The country faced a real risk of fuel supply shortage, as stated in the PetroSA annual report, and also in the fuel energy reports contributed to by PetroSA in the past, but, like most, PetroSA awaited the results of IRP findings on energy supply requirements. However, again she lobbied parliamentary support for a refinery at Coega. The DG concluded that PetroSA was concerned on the declining feedstock picture and was working with Eskom on LNG development and alternatives. The tanks at Saldanha Bay were discussed, but only to the extent that spare space could be taken up for rental on the basis of what would suit PetroSA. As to their future, she said the Central Energy Fund should be asked, as they were studying the matter. 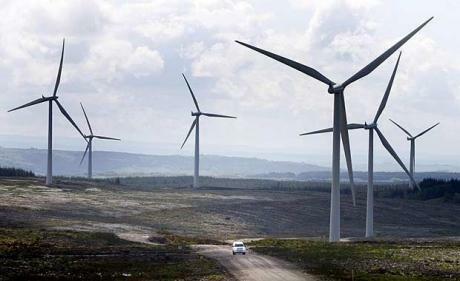 Central Energy Fund reported to the portfolio committee on energy that for 2011/2 it had importantly re-structured some of its investments and had now reached the halfway stage of what it felt essentially that an energy development company should look like. 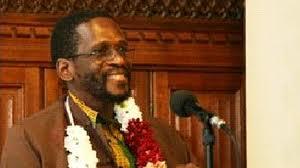 Chris Cooper, Corporate Planner, CEF, told parliamentarians that the somewhat torrid times of the part were now behind them, have divested themselves of SANEIRI, the research body which had now become SANEDI, and they seemed to be withstanding the venture losses by PetroSA. CEO Busi Mabuza had been advised medically not to travel and was not present. Parliamentarians asked directly if the lack of a fully substantiated and active CEO and leadership in other areas was affecting CEF operations and CEF directors replied that with team effort matters were improving, as reports showed. Cooper said that in the CEF stable was now a stable SFF, which was dealing well with the handling strategic fuel stocks despite a downturn in storage rentals. There was Africa Exploration Mining and Finance, which was exploring for new finds of fuel feedstock and which would shortly leave CEF, going to the department of mineral resources. 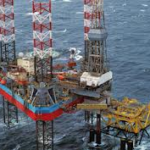 Also PASA, or the Petroleum Agency of SA, handling data, licences and monitoring as a petroleum agency was successfully selling its exploration data. I-Gas which had a major interest in the ROMPCO gas pipeline from the Mozambique gas fields to Mossel Bay and SASDA which was as a developmental supplier of goods to the whole group, supplied separate reports but in an overall sense, Cooper added, and whilst small players at this stage, both companies had made important contributions. 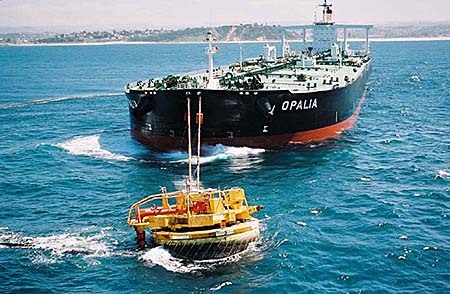 MPs continually emphasized the need for developmental evaluations on gas off the Mozambique coast and Cooper replied that in terms of financial restraints as much was being done as possible, particularly with regard to the Ikhwezi project handled by PetroSA. He said a pipeline was already being laid from a platform to onshore at Mossel Bay. He noted with some cynicism that when CEF had started, it had been almost “fashionable” in the energy environment to look at and investigate the many sources of renewable energy and much time had been expended, even wasted, but CEF had done its job by sorting out, with experimentation, research and piloting and limited capital projects using what funds were allocated, what was practical and right for South Africa. The picture, he said, was becoming clearer, particularly if shale gas was added to the possible inputs to the final formula. The Petroleum Agency of SA (PASA), a subsidiary of CEF, was involved in the investigations into hydraulic fracturing. Quite clearly, he said, forms of solar engineering had to be undertaken in the battle to supply electricity to the poor; the need for further feedstock in crude was an ongoing issue in a country where South Africa were takers not makers; and the potential of gas supplies for energy generation, and even vehicle production, had to be followed up on. 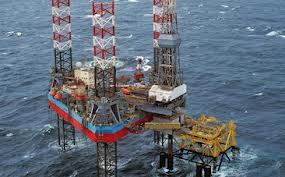 Cooper referred to a number of undertakings in the carbon capture area and said that working was continuing mainly based on grants from overseas and which technology was being conducted onshore to save on costs and retain better control on drilling. The future potential was to undertake carbon capture in a practical senses at sea for obvious reasons. Revenue increased 35% to R15m (2010 : R11m 2011) mainly due to higher crude oil prices and an increase in crude and finished products. Operating expenses were down 10% while profit after tax increased 39% to R1, 85m (2011: R 1,3m) largely due to cost containment measures as well as the deferral of certain projects which required more feasibility studies. The group maintained its strong net cash position at R19m (2011: R17, 5m). The group’s financial position remains solid it was reported, with total assets amounting to R35, 3m. Technical write-offs, in the area of PetroSA, which would be separately reported on, parliamentarians were told. 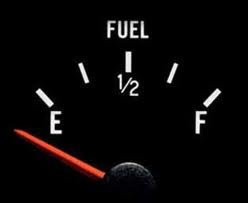 The issue of reduced tank storage rentals at SFF was also a problem. The group had received an unqualified opinion on its financial statements for 2011/2012 but DPME had reported separately and internally on the poor human resource programme which was acknowledged and being rectified; some irregular expenditure where the proper PMFA procedures had not been followed and faulty environmental procedures occurring during PetroSA operations, which had been corrected. New board member, Rizia Jowoodeen, clarified MPs questioning on grades of crude that CEF was dealing with at one given time, particularly with regard to Venezuelan, Egyptian, Equatorial African and other adventures and said that this was a transparent issue and all worked through SAPIA to establish the correct levels of octane based on existing refinery capabilities but that South Africa had to look around and thinking had to engage alternatives to light crudes. 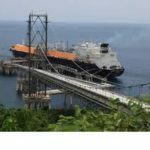 On strategic crude stock retention, Jowoodeen said that department of energy controlled this but there seemed a move coming to increase such figures. He said the difficulty experienced by CEF that there was no wording in the Public Finance Management Act to cover the task of venture capital undertakings. However, risk management was a very real issue at CEF, he said, but essentially they were a developmental body and the journey to a good energy mix and energy security in the long term for SA was never going to be an easy one financially. Two days of parliamentary hearings and weeks of debate on the proposed Basic Conditions of Employment and the Labour Relations amendment bills were based on the fact that the parliamentary portfolio committee on labour laws in no doubt that business in general, representative employment bodies and in many case government’s own utilities saw no benefit for the country as a whole if the new labour legislation, as it was originally drafted, had been passed in its original form. The original issue that caused much of the furore was the labour broking issue but the draft Bills cover considerably more issues than just this matter alone, representing as they do, an overhaul on a number of contentious labour matters. In well attended public hearings a considerable number of parties mostly with a commercial background complained that the Bills as they were originally proposed would in all likelihood set back South Africa’s investment programme; would probably also result in more jobs lost than gained and in many cases said the provisions were either counter-productive, unclearly defined and mostly unfair to employers, sufficiently so as to be legally unenforceable. Now in mid-November, the Labour Relations amendments have reached a delicate stage where parliamentary legal teams are considering a final draft with most of the clauses now being agreed, particularly on aspects of workability and constitutionality. Their is a clear divide in discussions on the two issue: policy issues and legal issues and chairperson Elleck Nchabaleng (ANC) has been at pains to maintain this division as the committee has set about debate the legislation clause by clause. Adv Gordon and Adv Barbara Loots have been present at most meetings as members of the parliamentary legal team. A major issue of recent has been wording in respect of the retrenchment of senior and higher paid employers and furthermore wording that would reflect a wish to unclog the CCMA from cases put before them. Another issue has been the matter where clauses have been so altered or new wording adopted that the sections concerned bear little relationship to the documents perused during public hearings. The amendments to the Basic Conditions of Employment Amendment Bill which was tabled in tandem seem have reached a more conclusive stage on the subject of committee deliberation. Among the organisations making inputs originally were the SA Chamber of Commerce and Industry, the Mr Price Group, the Banking Association of SA, the SA Society for Labour Law and the Federation of Unions of SA and Cosatu. The main thrust of Cosatu’s presentation was to inform parliamentarians that their official stance to the committee on labour broking had been revised and their insistence that the legislation before them have provisions banning labour broking in any form had been reviewed. Also, as a consequence, they were not objecting to the process of labour broking registration. Prakashnee Govender, the Cosatu representative, however maintained that the “real employer”, not the broker, should assume all employment obligations for the worker contracted where the work was not temporary in nature. Cosatu also voiced the view that any trade unions should have to obtain majority support when balloting their members before embarking on industrial action, Govender stating that this constituted a “fundamental attack not only on the right to strike but also on collective bargaining” and that such amounted restrictive practices by employers. Govender also stated that Cosatu opposed the wording that unions be held liable for damage caused during strikes but said that to allow pickets to be present on “third party premises” was welcomed. American Chamber of Commerce who were at first was disallowed by the chair to present in their slotted programme time but subsequently allowed to present to MPs after consideration by the chair, made it quite clear that Amcham saw a great number of unintended and unfortunate consequences resulting from the Bills and called for a regulatory impact assessment prior to any such amendments. Amcham’s presentation was eventually made on a later date by a representative of General Motors in SA. They clearly felt that it was not in South Africa’s economic interests to pursue the Bills as they stood. AHI supported the idea provided for in the Labour Relations Act amendments of allowing balloting before engaging in a strike but noted that in their experience it would rarely be properly supervised, putting the validity of such an exercise in jeopardy. Other presentations noted that civil strife could follow such procedures as suggested. 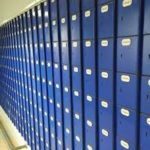 AHI was particularly concerned that the proposals would give no benefit to small business, in fact claimed “that since the announcement of these amendments, more than 440,000 small businesses had closed their doors”. Like most presentations, the need for some amendments were not doubted by various organisations and bodies. Most seemed to support the objectives in a broader sense but such issues as prohibition of sub-contracting; issues surrounding part-time employees becoming full time employees by virtue of the passage of time; and retrenchment conditions on higher income employees were focused upon as being counter-productive. These were rejected as either not making economic sense, being badly worded, confusing, or, as some submissions stated, having negative or opposite effects on employment conditions. Most submissions rejected whole clauses in totality but few supplied alternative wording. Now that two months of deliberations have taken place within the Portfolio Committee on Labour, the belief is that final drafts could be put before the National Assembly before the end of the current parliamentary session. Representing the Democratic Alliance on the labour portfolio committee is Sej Motau. The Protection of Personal Information Bill, known as the “POPI” Bill, now has National Assembly approval. It is in the process of concurrence by the National Council of Provinces. Provincial mandates are not called for. The new and much debated Bill provides a new data privacy legislative framework for South Africa with an independent information regulator body formed to govern and decide on complaints, with powers to impose penalties, such a body being accountable only to Parliament. The new POPI law when passed will apply to both state institutions and all private bodies and persons and as a basis of ground rules on the transfer and subsequent use of information. The proposed law is based upon the requirement to obtain consent for the processing of information received and give explanations as to why such information is required. One of the most important clauses concerns the issuing of information and states that such should only take the form which is needed to conclude a transaction and such information should be “adequate, relevant and not excessive”. It should be made quite clear to any individual asked for information why such information is required. The Bill is explicit that information may only be collected for a clearly defined and lawful purpose, although the length of retention of such information is not defined. Nevertheless, such retention should not be for “any longer than necessary”. Measures must taken by the receiver of information on the security for such information and such should exercise due integrity as receiver. As for the body to be known as the Information Regulator accountable only to Parliament, such will have the dual role of dealing with complaints in terms of POPI and the Promotion of Access to Information Act of 2002. The POPI law has been a number of years in the making and will bring “South Africa into line with data transfer in other countries”, the Bill says. The regulator will be empowered to deal with “codes of conduct” for sectors of industry and commerce which may apply to a specific industry or process, specific activities or professions, to enable such bodies to meet the POPI requirements with specific regulations designed for them, thus making bulk transfer of information possible in terms of such codes and tailoring the law for specific applications. POPI also deals with direct marketing by electronic communication, including automated calling, fax, SMSs or e-mail and prohibits such unless the individual’s consent has been received or the recipient is a customer. Solicitation will only be allowed when permission is obtained for further communication. Penalties apply in cases of abuse. The new law, at present with the NCOP for final concurrence, also deals to some extent with international transfers of personal information, dictating that information may only be transferred to a foreign country if the receiving country has equivalent data protection laws and with provisos in some cases similar to domestic information transfers. 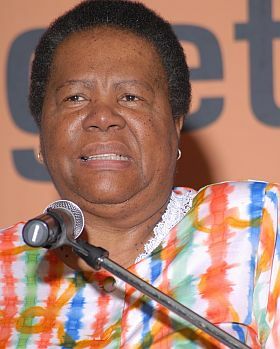 Originally announcing that Naledi Pandor would be acting minister of home affairs, President Zuma’s office confirmed the following day the substantiation of this position, Pandor thus taking up the position of minister of home affairs – the cabinet position vacated by Nkosazana Dlamini-Zuma who resigned last month to head up the African Union commission in Addis Ababa. Parliament has just debated the department of home affairs annual report for 2011/2 and both the department of performance, monitoring and evaluation’s report on delivery service targets and the auditor generals’ report on the financials were not as complimentary as was anticipated. 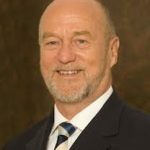 At the sa me time the president’s office announced that Derek Hanekom was appointed as minister of science and technology, Hanekom having held before the position of deputy science minister. Hanekom will be deeply involved in the SKA (Square Kilometre Array radio telescope) project – the full dish array and the dense aperture array being constructed in the Karoo, Northern Cape Province. The core – i.e. the region with the highest concentration of receivers – will be constructed about 80 km from the town of Carnarvon. The South Africa portion of the SKA project, shared with Western Australia, will host the largest telescope ever constructed. 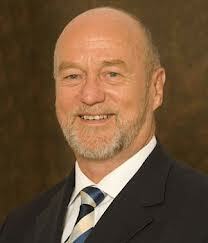 Minister Hanekom had just visited the area prior to his appointment. The portfolio committee on police has arranged public hearings on the Private Security Industry Regulation Amendment Bill, the Bill itself already having been tabled. In a recent cabinet statement a review of past anchor legislation for the industry was undertaken to “address gaps that are caused by the lack of effective regulation of the private security industry, in particular, the threat to national security posed by the participation of foreigners”. The aim of the Bill now before Parliament is to tighten up existing law as far as foreign ownership of private security firms operating in South Africa is concerned and to provide further regulations for the Private Security Industry Regulatory Authority (PSIRA) to enforce on the subject of firearms control and transit issues. Other than to regulate foreign ownership and control of private security businesses, the Bill aims to provide regulations on the transportation of cash and other valuables; to allow for the setting up of a separate database on firearms issued to security service providers and provide limitations as far as services obtained from employees with a past criminal record. If the Bill becomes law, the regulatory body PSIRA will be eligible for state funding. A cabinet statement confirmed that South Africa had approved the treaty with the DRC involving the Grand Inga Project, a hydroelectric power project with a potential of as much as 40 000 MW of capacity to be developed on the Congo river. The treaty, the South African government said, created an enabling framework, linking the DRC and South Africa in a mega project which had the potential to involve most of Africa. The treaty, the cabinet statement said, would allow for the two countries to jointly explore different economically feasible options for the development of what could emerge as the largest-ever cross-border energy project undertaken in the Southern African Development Community (SADC). Cabinet said the two countries would also seek support for the initiative from other African countries, especially from its partners in the SADC region, earlier projects known as Inga I and Inga II which were started as early as the 1970s. The new involvement, commonly known as Inga III, has involved Eskom from the start for some years ago but the DRC government has repeatedly pulled out of subsequent financial arrangements with its Namibian, Botswana and Angola partners. 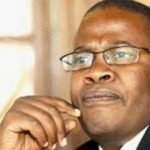 Cabinet spokesperson Jimmy Manyi, now replaced, said that “different times” and “different dynamics” had led to disruptions in gaining traction with the project but which was now going ahead. “The South Africa government is confident of delivering this time around”, he said. However, not clear at all is the fact as to whether the Grand Inga Project will be written into the proposed final SA Integrated Resource Plan, the initial capacity of hydroelectric power in terms of this currently being expected to flow from countries such as Zambia and Mozambique. However, both President Zuma and Minister Dipuo Peters have indicated that Grand Inga “is receiving priority attention”. It is understood from separate reports put before Parliament that Eskom has entered into agreements with French partners. 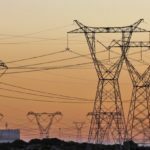 CEO Brian Dames was recently quoted as saying that initiatives were under way for the creation of a high-voltage “super grid” across Southern Africa by 2030, Eskom however mentioning in other presentations that major interconnections with Africa continental power grid projects could happen of which the Grand Inga could be a part. The cabinet statement limited itself to purely to the aspects of South African/DRC relationships, both Zuma and Peters having been signatories to such an agreement. According to a meeting of the parliamentary portfolio committee on water and environmental affairs, it was circulated to members that work has at last commenced on a White Paper on South Africa’s response to climate change. The Green Paper went on to say that adaption to and management of unavoidable and potential damaging climate change impacts through interventions that build and sustain South Africa’s social, economic and environmental resilience and emergency response capacity. In line with this objective, the document now being circulated says that a White Paper is to be instituted shortly by an “inter-governmental committee on climate change” comprised of senior officials from all three tiers of government. The committee was told that NEDLAC will play a key coordinating role and various “social partners and academia” are to be included. Together, these committees will oversee a technical working group on adaptation, a further working group on mitigation and, finally, a task team to handle monitoring and evaluation. The whole exercise will focus on renewable energy supplies; energy efficiency and energy demand management; waste management; carbon capture and sequestration; water conservation and demand management; and, finally, transportation issues. Posted on August 31, 2012. The parliamentary portfolio committee on energy expressed extreme dissatisfaction with the delay in the production by Eskom of a due diligence report on the implications of and the financial risks involved in Eskom transferring its assets and the financial and operational implications in future of not running portions, or the whole of, the national electricity grid. Present for the meeting, but not included in the discussion for reasons of maintaining impartiality, was the director general of the department of energy, Ms Nelisiwe Magubane. Eskom had been requested in meetings to produce such a report to the committee, in fact outraged MPs said that they were there to listen to the report – only to be told by Eskom when they arrived that there would be no such document. 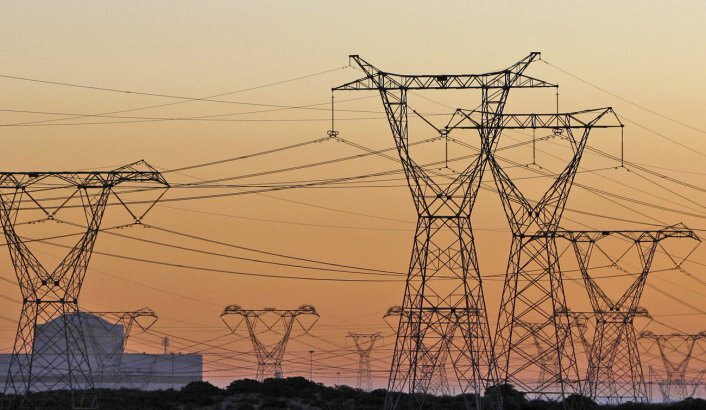 Chairperson Sisi Njikelana was told by a spokesperson for Eskom that the agreed due diligence exercise had not yet even been started, due to a whole change in the manner of preparing the report. She said that another four months was required by both Eskom and its partners to the exercise, National Treasury, plus the department of public enterprises.